The best Bucktails available. Long, with plenty of usable hair. Colors Available: White, Chartreuse,.. Attractive lightweight bag is a dream come true for fly tiers who hate to clean up messes. Attaches .. Stainless with ceramic inserts at bottom and tip openings. Delrin feet. 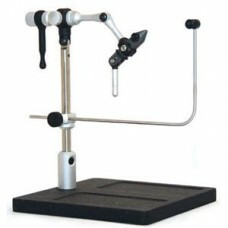 4" ..
Regal Travel Base Traditional Rotary Vise TRA-50MEDALLION TRADITIONAL HEAD FLY TYING VISES ..
All brass and aluminum construction with "cushioned bottom." A: Double Midge - 17.95 B: Double stan.. 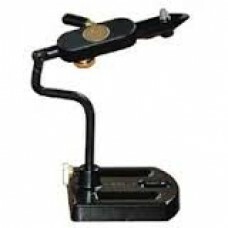 This vise is the most advanced and versatile vise available. It is for the all-around or production .. Holds hooks from #28 to #4/0 with one jaw adjustment. Features easy to use Cam Jaws, new hinged rota..